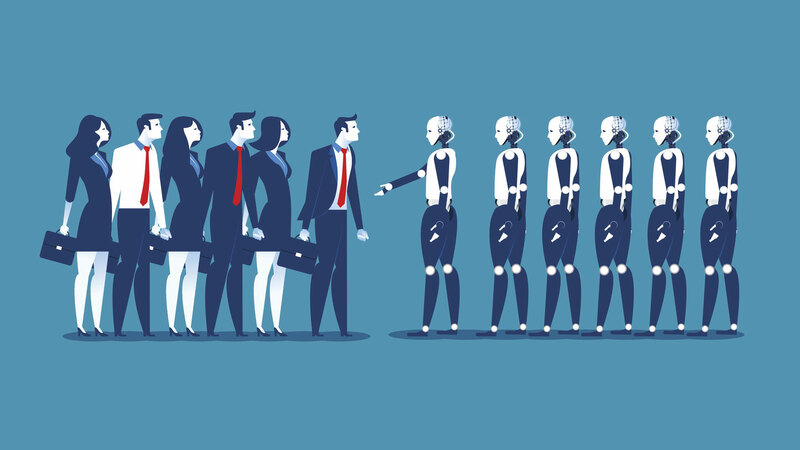 Posted byAtulHost	 19th Mar, 2019 19th Mar, 2019 Leave a comment on How Will AI Enable the Future of Work in 2019? Artificial intelligence (AI) is everywhere, influencing everything that’s happening from our work to our leisure time. For businesses, it can provide a lot of new opportunities as well as challenges. What are the most important ways in which AI will transform how businesses operate in 2019? The rise of AI technology has been fast and it is only going to get faster. Already many businesses have changed their approach to a variety of functions from mundane, daily tasks to big, strategic initiatives. The impact has been felt across departments from finance to HR. The most intriguing thing is how AI isn’t just benefitting the big companies but also helping small businesses to catch up. As mentioned, the AI revolution is not going to stop any time soon. 2019 might be a year during which AI will really take control of many business functions. Below are the main ways in which AI will enable the future of work in 2019. Even small businesses have different teams working on different things. You don’t need to be a multi-billion organisation employing thousands in order to have separation of tasks and goals. Whenever this kind of separation happens, communication becomes vital in guaranteeing success. In 2019, it’s likely that AI will improve internal communications in many ways. Automated responses will become more common, connections will become more stable and AI can even help reduce communication issues such as language barriers. HR is perhaps among the most important departments in the cusp of AI’s transformative power. The way small business recruits has already changed but it is likely to change even further in 2019. AI can now help create more compelling and interesting job postings, attracting the kind of talent your business actually wants and needs. In addition, AI can pick the right candidates from a wide range of applicants. Furthermore, in terms of AI, the onboarding process is likely to see massive improvements this year. This is especially beneficial for small businesses since they can save time and money due to automation and technology-led training programs. Instead of having to hire and train people face-to-face, different technological solutions can help take control of onboarding and further training. AI’s impact on problem-solving will also be a major thing in 2019. The technology can not just help simplify tasks but it can also help improve innovation and instil more creativity to your small business. An example of this is IBM’s Watson and its ability to help teachers identify different teaching patterns. This then allows them to personalise teaching and nurture the child’s unique learning and creativity patterns. These areas of technology are still in their infancy but 2019 could be the year for major breakthroughs in problem-solving. Data analysis can be the difference between successful and unsuccessful companies. Every day your organisation will generate lots of data and for many small businesses, some of this will be lost. But AI is changing this and new software is making it easier to not only generate data but also analyse it faster and better. AI-powered payroll software for small business could help reduce cost, reward good performance and improve employee wellbeing, for example. Data analytics are becoming a major part of every software solution from finance software to social media management platforms. The regulatory landscape is constantly changing and many small businesses are operating internationally nowadays. This can be tricky for small businesses since they don’t have the same resources to ensure every aspect of the business is complying with the rules and regulations. However, AI-led technology is improving this and in 2019, many software solutions will not only use standardised programming but they will also ensure compliance within your documentation, for example. What is important to understand amidst all of this is that AI’s rise doesn’t entirely remove human involvement. More than ever, the relationship between AI and humans will enhance and deepen. For a small business, this is an important factor to consider in things like recruitment. You will need to hire people who are able to deal with AI-powered software and who, on the other hand, are good at handling the social aspects of growing a business. The truth is that AI won’t yet replace humans and it’s important to keep this in mind at all times. 2019 will be an important year for AI development. The technology is definitely becoming more mainstream and innovation is constantly taking place. For a small business, this is an exciting time and the above changes are the key things that’ll change and deepen – the playing field is getting more equal and it’ll benefit both business people and customers of all kinds. How to Manage Your Multiple Businesses Efficiently?